You must be feeling a range of emotions after recently arriving in Denmark. After I first arrived I was tired, excited, and after a few days of being in Denmark, I even cried because I wasn’t sure if I had made the right choice in choosing Denmark as the place where I studied abroad. I also wasn’t sure if I had made the right choice in choosing to live with a Homestay, mostly because of the commute to Copenhagen. 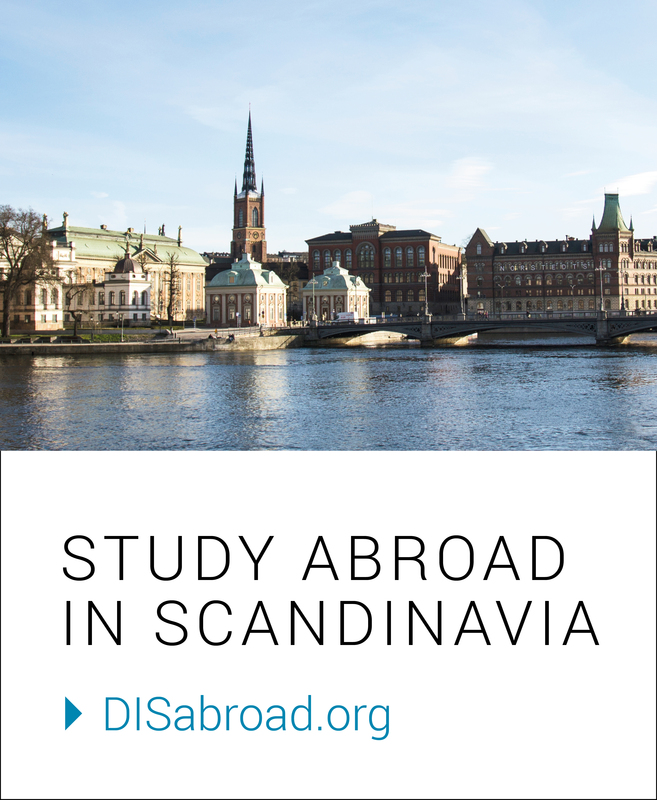 These doubts quickly went away and completely disappeared after just a few weeks of living and studying in Denmark. It didn’t take long for me to realize that Denmark was a unique country with a multitude of things to do and see. Some of my favorite things were visiting the many castles with my host family, drinking a beer at Nyhavn with friends, or shopping on Strøget. I also became accustomed to the commute to the city, and the view out of the window of the train soon became one of my favorite things about Denmark. I enjoyed seeing all the houses and the water pass by as the train moved along the coast. Although confusing at first, I promise taking the train and other public transportation will become so easy – the app Citymapper is a life saver, but after a while, I didn’t even need it to get around! Although the commute to Copenhagen was a bit long, living with my hosts was worth it. Be ready for long dinners filled with good conversation and even better food. My host dad is an amazing cook, and don’t be afraid to tell your hosts if you like or don’t like something. But always be willing to try new foods, you might be surprised and begin to like things you thought you didn’t. Make sure you eat some Danish layer cake! LaGlace, a bakery in Copenhagen, has some amazing layer cake (lagkage). My hosts were very accommodating when it came to food, so don’t be afraid to ask your family for certain foods you like. In addition to good food, be prepared to have great conversation. By talking to my Danish family I learned so much about Denmark and Danish culture. Asking questions and talking about a variety of topics lead to many interesting conversations and I always walked away with a new perspective or having learned something new. Additionally, make sure to talk with your host siblings a lot if you have them. It really helps them learn English better and they might even help you with your Danish homework in return. Little kids might be shy at first, but they will definitely warm up to you so take advantage if they offer you some candy and say yes when they ask you to watch Frozen because spending time with them was lots of fun. Communicating with hosts is one of the best ways to ensure that your semester in Denmark goes smoothly. Share with them if you won’t be home for dinner, if you are going out with friends, or when you will be traveling, and they will communicate with you in return about there schedules. Also, if there are things that you want to see or do in Denmark, tell your hosts you are interested and see if they are interested in planning some weekend excursions with you. Some of my fondest memories from my semester in Denmark were days spent driving around exploring with my hosts. I had the most incredible semester living in Denmark, and my Homestay’s home felt like my own by the end. This is a time where you learn so much about yourself, others, and the places you visit. If you are open-minded and respectful, you will be sure to have an amazing semester as well. –Brianna, University of Wisconsin – Madison, was a student during the Spring 2018 semester and lived with a Homestay in Rungsted, a town north of Copenhagen.